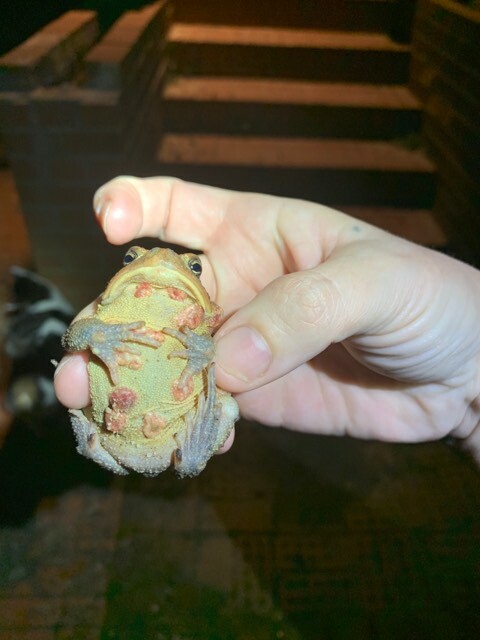 An acquaintance of mine sent these photos of a toad that a friend of hers had found... any idea what the growths might be? They certainly look horrible. Take that toad to a vet. Good luck. It's a wild toad, so no going to the vet for that poor fellow.